Length: 6 Hrs, 19 Mins. The good news is Jennifer Traig does not have lupus, multiple sclerosis, Huntington's disease, Crohn's disease, or muscular dystrophy. She discovers that she does not have SUDS, the mysterious disorder that claims healthy young Asian men in their sleep, nor does she have Foreign Accent Syndrome, the bizarre but real neurological condition that transforms native West Virginians into Eliza Doolittle overnight. What she does have is hypochondria. Jenny Traig's inquiry into her ailment is not only an uproariously funny account but also a literary tour of hypochondria, past and present: the implied hypochondria of the Talmud, the flatulence-obsessed eighteenth century, and the malady's current unfortunate lack of a celebrity spokesperson. At the same time, Traig provides an intimate look at the complement of minor conditions that have concealed her essential health and driven her persistent self-diagnosis: the eczema, the shaky hands, and, worst of all, the bad hair. To her surprise, she ends her journey more knowledgeable than she was when she started out, a little less neurotic, and--one might say--healthier. 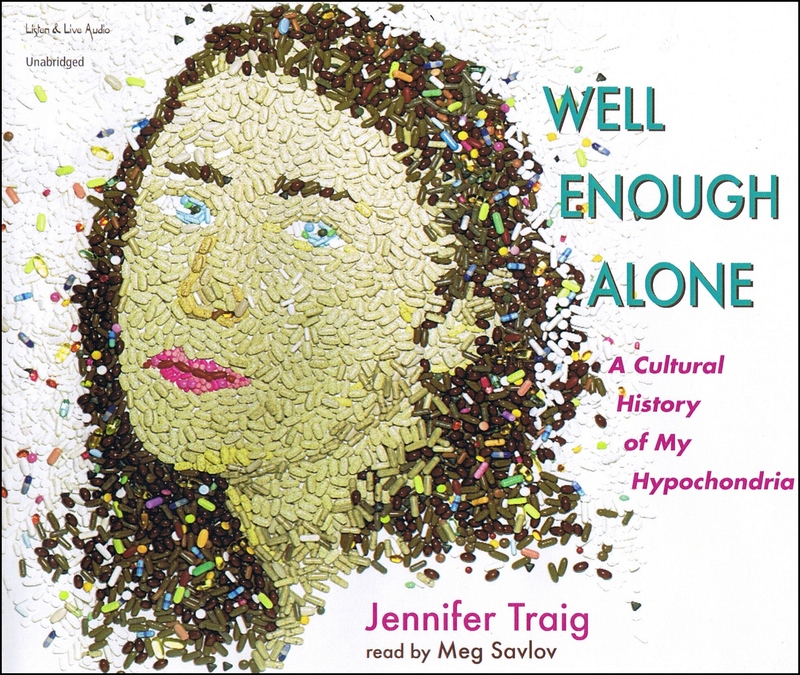 Well Enough Alone is the definitive audiobook on being worried well, in all of its gruesome and hysterical detail, from one of our funniest and most distinctive literary voices. Jennifer Traig is the author of Devil In The Details: Scenes From An Obsessive Girlhood and has written for Forward, The Believer and The New York Times, among other publications. She holds a PhD in literature and lives in Berkeley, CA. Meg Savlov is an actress and singer based in Seattle. She has worked with bilingual theater ensembles in New York, Santa Fe, San Francisco, and Portland for over twenty years. "It's as if David Sedaris and Anne Lamott got together and let loose a fountain of one-liners about an obscure neurological malfunction."